BROWNSVILLE, Texas -- An audio recording that appears to capture the heartbreaking voices of small Spanish-speaking children crying out for their parents at a U.S. immigration facility took center stage Monday in the growing uproar over the Trump administration's policy of separating immigrant children from their parents. Human rights attorney Jennifer Harbury said she received the tape from a whistleblower and told ProPublica it was recorded in the last week. She didn't provide details about where it was recorded. CBS News hasn't confirmed the audio's authenticity or anything about its origins. ProPublica describes the sounds as "desperate sobbing" and says they make for "excruciating listening." Homeland Security Secretary Kirstjen Nielsen said she hadn't heard the audio but said children taken into custody by the government are being treated humanely. She said the government has high standards for detention centers and the children are well cared for, stressing that Congress needs to plug loopholes in the law so families can stay together. Attorneys at the hearings said the immigrants had brought two dozen boys and girls with them to the U.S., and the judge replied he didn't know what would happen to their children. 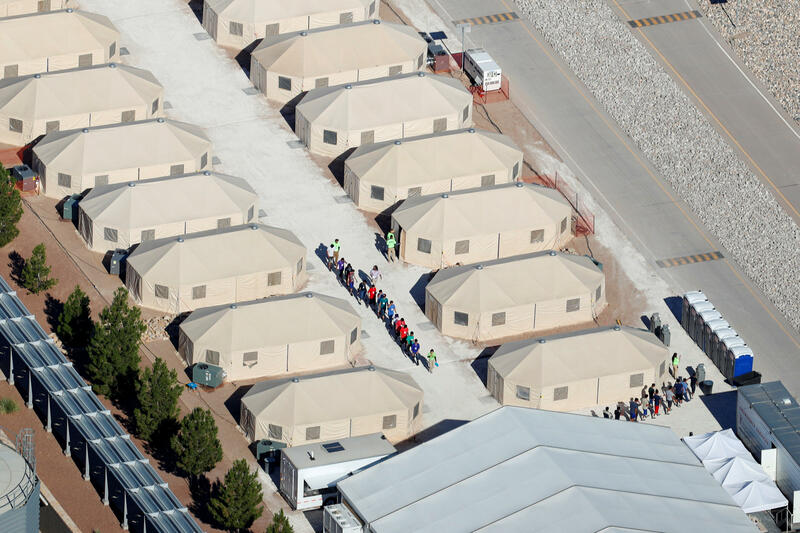 · Laura Bush: Taking kids from parents at border is "cruel," "immoral"